From Osmond High School, she attended Nursing School in Trinidad and became a Registered Nurse (RN). She worked a few years in Trinidad and then became a recipient of a scholarship to work and further her education in England. Joyce loved England, but after several years, she decided to move to America to work. But first, she planned to visit her family in Trinidad. During her journey back, she gave birth to her son Colin Ian McDavid who was the joy of her life. In Boston, Massachusetts she worked at several hospitals and nursing homes through various healthcare agencies and was also employed at the Jewish Memorial Hospital in Roxbury, Massachusetts. Later, she was also employed by the City of Boston’s Mattapan Chronic Hospital, from which she retired years later as a Nursing Supervisor on the 3-11 P shift. Joyce had a sharp mind and was always interested in Gerontology. While working full time at Mattapan, she enrolled and attended the University of Massachusetts and graduated with a BSN degree, with a concentration in Geriatric Nursing. She enjoyed shopping, especially the Home Shopping Club, so much that even when she became sick and could not visit the stores, her television was on Home Shopping Network (HSN) or her other game shows. Traveling was another passion, especially traveling with the GoldenAires, of which she was a member. Some of her favorite places were Hawaii to visit her son Colin and grandsons Kai and Zed, and visiting England to see her niece Debra. One special yearly trip in October that she anticipated was visiting Trinidad to see her sister Lucille, who died three weeks before Joyce did, at just about the time Joyce would have traveled, but could not make the trip because of illness. Joyce had a favorite quote, “Let me travel when and where I can, because there will come a time when I can travel no more.” After each trip to Trinidad, she would reflect about Trinidad, the village, family, food and memories of her late parents and sister Cynthia, whom she loved dearly, and about missing them and the way her family shaped her life. Joyce was Great-Great Aunt of Josiah Wells, Kayden Jeffers (Trinidad) and Allan Jeffers Jr and Jermiah Jeffers (Massachusetts) and Cousin to Baby. She also leaves memories with friends Kathrina Caiby, Lorine Birkett and Marie Mortley also including others whose kindness and prayers was given unselfishly. 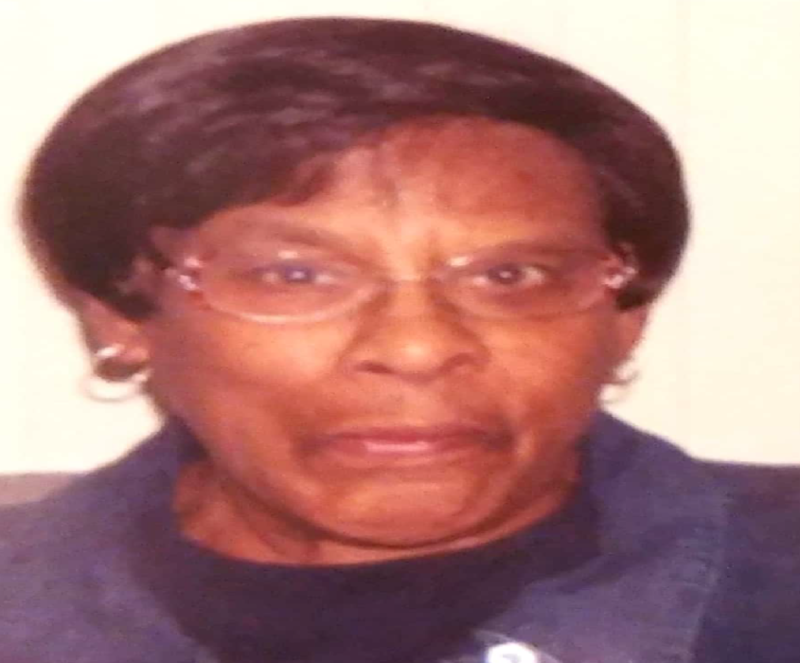 She is preceded in death by her Father and Mother Leonard and Victoria Smith, Sisters Cynthia Jeffers, Lucille Augustine and nieces Debra Smith and Diane Jeffers.